Online banking activities are constantly growing and will become even more common as open banking platforms evolve. One side effect of this trend is the growth in fraudulent attempts. To address this problem, in the first part of the talk, we will propose an attention based architecture for classifying online banking transactions as either fraudulent or genuine. Our method allows transparency to the decision of the classifier by pointing out the most dominant transactions in the sequence and the most dominant features in each transaction. Experiments conducted on real online banking data originated from third party vendors who specialized in online banking fraud detection. They demonstrate the effectiveness of our method in both classification accuracy and interpretability of the results. In the second part of the talk, we will discuss a transfer learning algorithm that we developed to minimize the silent period of new banks and to improve the detection accuracy of banks with a small amount of labeled data. 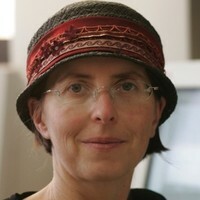 Sarit Kraus (Ph.D. Computer Science, Hebrew University, 1989) is a Professor of Computer Science at Bar-Ilan University. Her research is focused on intelligent agents and multi-agent systems (including people and robots). For her work she received many prestigious awards. She was awarded the IJCAI Computers and Thought Award, the ACM SIGART Agents Research award, the EMET prize and was twice the winner of the IFAAMAS influential paper award. She is an ACM, AAAI and ECCAI fellow and a recipient of the advanced ERC grant. She also received a special commendation from the city of Los Angeles, together with Prof. Tambe, Prof. Ordonez and their USC students, for the creation of the ARMOR security scheduling system. She has published over 350 papers in leading journals and major conferences and co-authored five books. She is a member of the board of directors of the International Foundation for Multi-agent Systems (IFAAMAS) andwill be IJCAI 2019 program chair.